Contrary to popular belief the iPhone is not the most sold smartphone in the United States. That title goes to the BlackBerry Curve who has pretty much maintained it’s seat on top of the smartphone hill of dominance since the quarter that the iPhone was introduced. 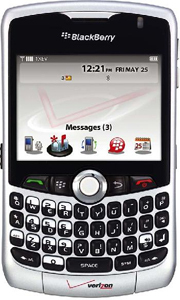 What is more impressive than the BlackBerry Curve holding the number 1 spot is that the BlackBerry Storm and BlackBerry Pearl hold the number 3 and 4 spots respectively giving RIM 3 of the top 4 selling smartphones. No matter how you look at it, RIM is selling a lot more BlackBerrys than is Apple iPhones. No wonder Apple is looking to bring the iPhone to Verizon.